Areté opened its doors two years ago this spring and has been caring for people in the Seacoast area. 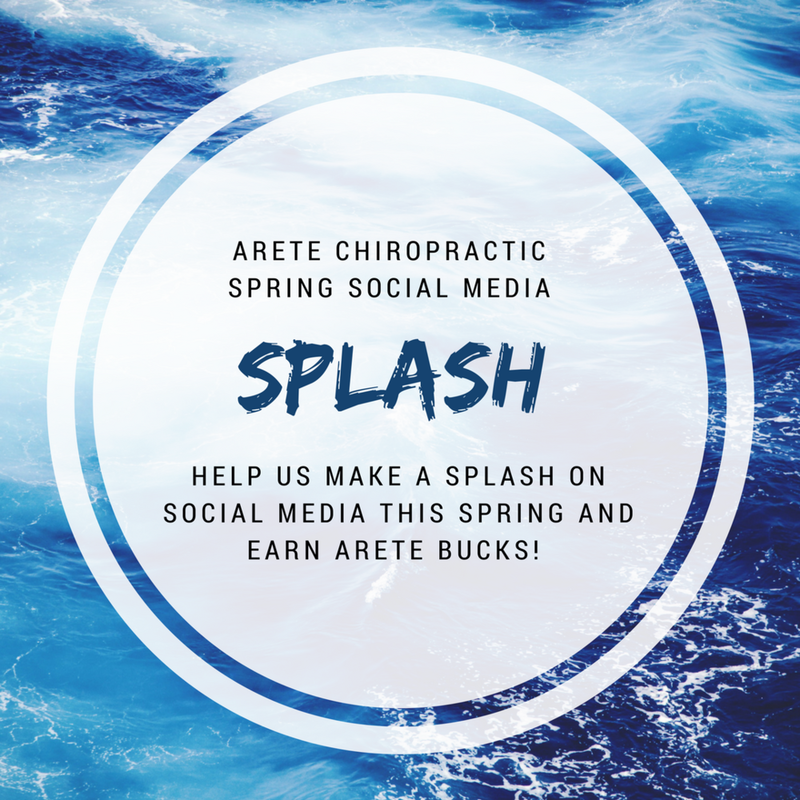 Internet searches are how many of our patients find us, and this spring Areté wants make a splash in the Seacoast! Many people out there are suffering from neck pain, headaches, whiplash injury, concussion, lower back pain, sciatica, and many more of the symptoms that we help people recover from every day, but they don't know that upper cervical care could be a solution for them. That's where you come in. We are asking for your help to make this splash. It can be as easy as liking our office Facebook page, or checking in when you're here. Although, as human beings we learn best from seeing other stories and experiences, so a google review or video testimonial is a huge help. If you're not sure how to check-in on Facebook or write a Google review, click the links below to learn how! To thank you for your support, for each action you can earn ARETE BUCKS! Areté bucks can be used in the office towards products or services. Thank you for your help! If you aren't sure how to check-in on Facebook or leave a Google Review - see the videos below to learn how!